Promoting teamwork through the Rhode Island Chinese Dragon Boat Races. 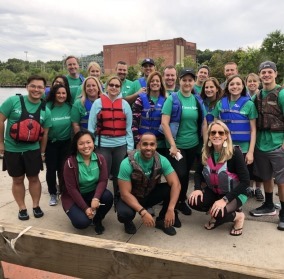 New England South Retail colleagues come together through a common sense of competitive purpose at the Chinese Dragon Boat Races. 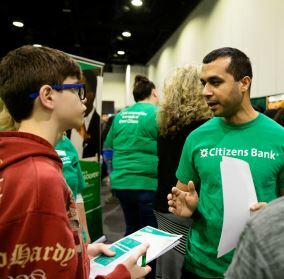 During a two-day career fair, our recruiters and volunteer colleagues were able to chat were hundreds of 8th grade students about the various careers in banking.